Hello everyone thank you so much for taking the time to look at my blog it would be lovely if you could follow me please. I made this card after coming across a big box of punches that I very rarely use. I found some inspiration from Pinterest. 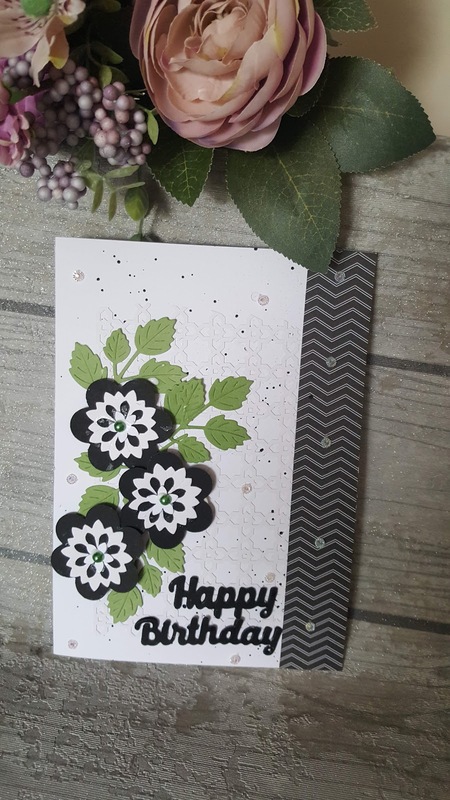 I really enjoyed making this card using the punches, I used black and white which are colours I love to work with. I was happy with the end result I think it is a nice clean looking card. My girls (triplets aged 9) finish school today for the summer holidays and I have lots of nice crafy activities planned for us to do together. We are working on their little art journals at the moment. I'm not too sure how much time I will get to myself to!! 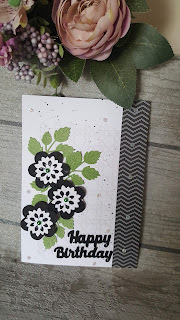 My tutorial to this card is below, I would love you to take a look and subscribe to my channel if you enjoyed it. Thank you again for taking a look.